After the small scare I had with my heart last week I aired on the side of caution and took a week off running. The other reason for this was that I’ve had a big year and my body needed a break. My training starts January 1st for my first two goal races of 2014 so a break was timely. A week off running is tough for a runner. It’s the longest break I had in 2013 and not being injured as such it was hard to wake up and not get ready to run. I’m glad I did take a week off though for two reasons. I’m now confident that my heart problem is behind me, I am seeing a cardiologist in late January just to be on the safe side but I think it’ll be fine. And my body feels recharged and ready to build some significant training miles in the first part of the new year. Second reason, a week off running returns the motivation to run. Running is hard, it takes discipline to get up and consistently log the training we do. A small break for me has recharged the mind aswell as the body. My run this morning was nothing too difficult. 6.5km in a touch over 30 minutes of running. Beautiful morning in the Australian summer for a run I felt the joy of running come straight back to me, I missed that feeling last week. 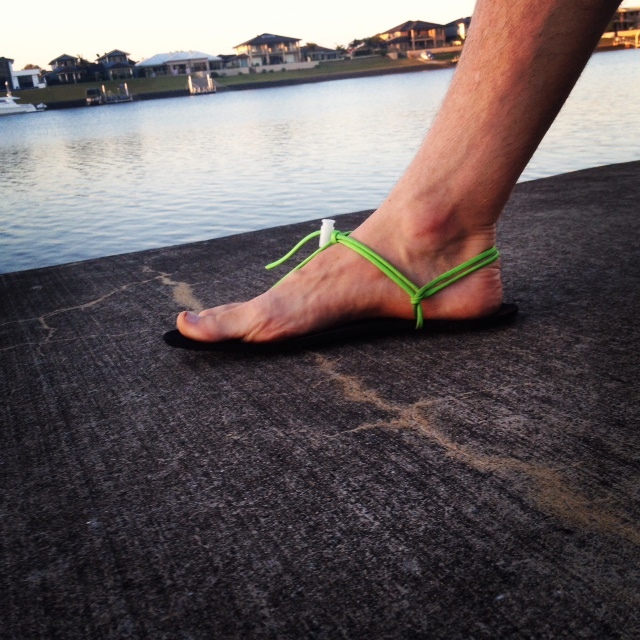 This entry was posted in Running and tagged #barefootrunning #running #barefootsandals. Bookmark the permalink.